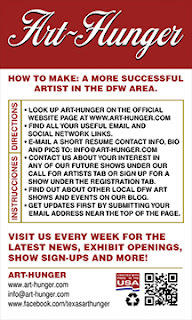 Art-Hunger will be hosting an art show, SO POP at the Fort Worth Contemporary Arts Center this March. 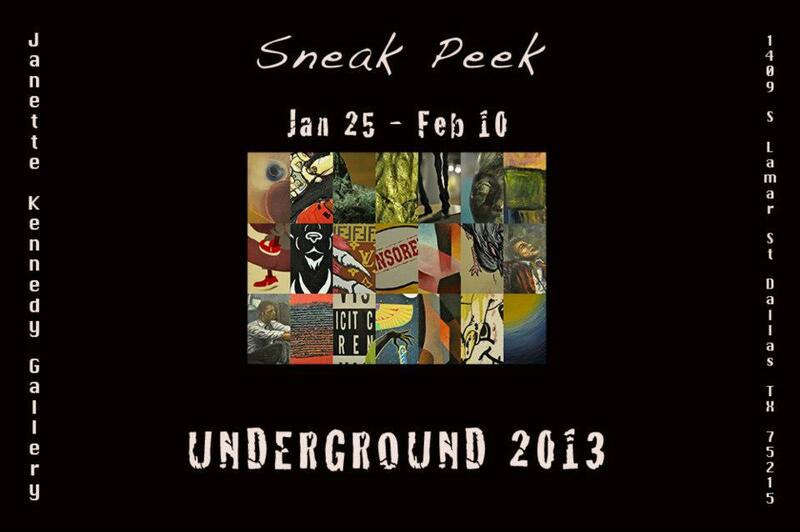 The show will be open the entire month of March including gallery night on the 23rd from 2-9pm. 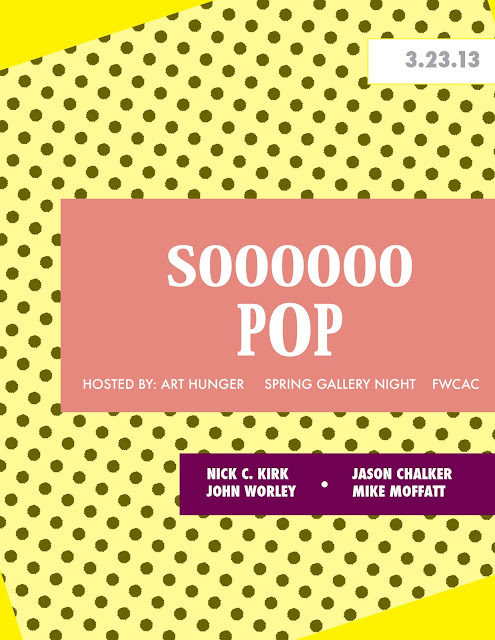 SO POP will include new work from artists: Nick C. Kirk, Jason Chalker, John Worley and Mike Moffatt. While you're hopping around Fort Worth checking out the art scene, don't miss this show including Art-Hunger's founders Nick, Mike and John. This show is at the FWCAC, so several other exhibit openings will be under the same roof with handfulls of other artists! Anyone interested in drawing, painting or sculpting a live model on March 2nd near Molten Metals Foundry at 701 South Main Street, Grapevine ? 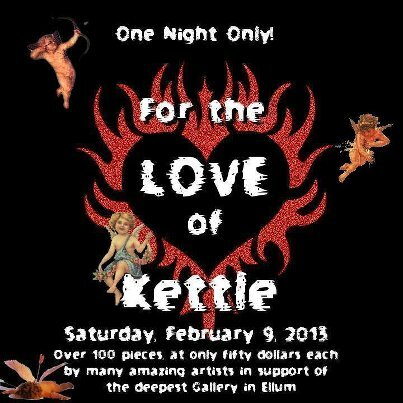 I am debating having a live model come out the first Saturday of every month. Not a class, no necessary prerequisites. Model will pose is various positions over the course of three hours. Do what you wish with the time, draw, paint, sculpt, etc. I am looking at having at least one female model and perhaps one male model as well. The facility can hold a good 30 artists probably. Price will only be $35.00 and/or $85.00 if you wish to have instructions/help. 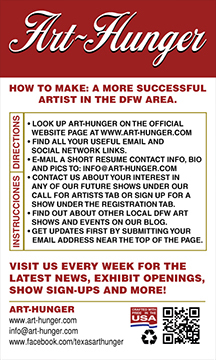 You must bring your own materials, drawing board, easel, etc. Simple easels may be rented for 10.00 Email Nick at nickckirk@yahoo.com if interested, please reply asap so the facility can be booked. Also express if you wish to come during the day 11am-2pm or night 6pm-9pm. Releasing today is the newest Art-Hunger flyer for 2013! 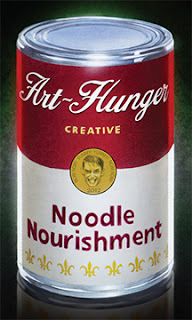 Big high five to part of Art-Hunger's management team and the artist, Will 'Rhyno' Hall for the making of such a beaut. 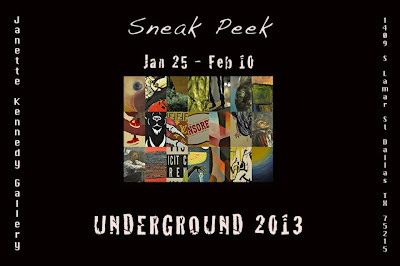 (2) FWD artist group shows coming up this weekend in Dallas to check out. 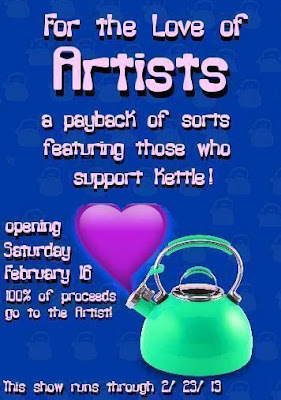 "For The Love Of Kettle"